Iran, March 30, 2019 - Following recent floods devastating lives across Iran and in response to a message issued by Iranian opposition President Maryam Rajavi, members of Resistance Units are collecting aid for flood victims. Resistance Units are a network directly associated to the Iranian opposition group People's Mojahedin Organization of Iran (PMOI/MEK). The aid collected includes medicine, blankets, clothing, canned food and hygiene goods. These items are directly sent to people in need, knowing all regime institutions will only steal such goods. “We are PMOI/MEK supporters responding to Mrs. Rajavi’s message and sending our aid directly to our flood-hit compatriots. Some necessary medicine is being kept by the regime’s Red Crescent in its warehouses, refusing to provide them to flood victims,” one PMOI/MEK supporter said. “I am from Iran’s Kurdistan region and I am responding to Mrs. Rajavi’s call to express my readiness to provide further aid to flood victims. 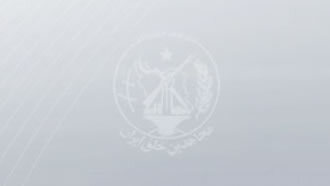 We sent some goods yesterday to Golestan Province (northeast Iran),” another PMOI/MEK supporter said. One individual who participated in a recent ceremony/vigil held in Shiraz, south-central Iran, for the flood victims also sent a similar message. “We lit a candle on behalf of the PMOI/MEK for those who lost their lives in the recent floods. This catastrophe was the result of the inhumane regime’s negligence and incompetence. We express our deepest condolences,” the PMOI/MEK supporter said. A resistance unit member from Kermanshah, western Iran, sent aid from the town of Sarpol Zahab in Kermanshah Province, western Iran, to Golestan Province. Sarpol Zahab itself was hit hard by a devastating November 2017 earthquake and locals are still living in trailers. “To the deceitful [regime Supreme Leader Ali] Khamenei and [President Hassan] Rouhani, although you know nothing of shame, just take a look at how people who have been living in tents and trailers for more than a year now are providing aid from their very little belongings to those hit by floods in Golestan Province… These are the same locals of Sarpol Zahab who are now sending the aid they received from locals after the earthquake to those who are in need in Golestan. Shame on you! Death to Khamenei and Rouhani. Viva the National Liberation Army of Iran, Hail to Rajavi,” in reference to Iranian Resistance leader Massoud Rajavi and Maryam Rajavi, President of the Iranian opposition coalition National Council of Resistance of Iran (NCRI).